I'm on my 28th day of confinement/pantang today, Alhamdulillah & there is another 13 days left before I would graduate from this Confinement School (although I may add, with not so flying colours. If you know what I mean. Lols!). InsyaAllah. 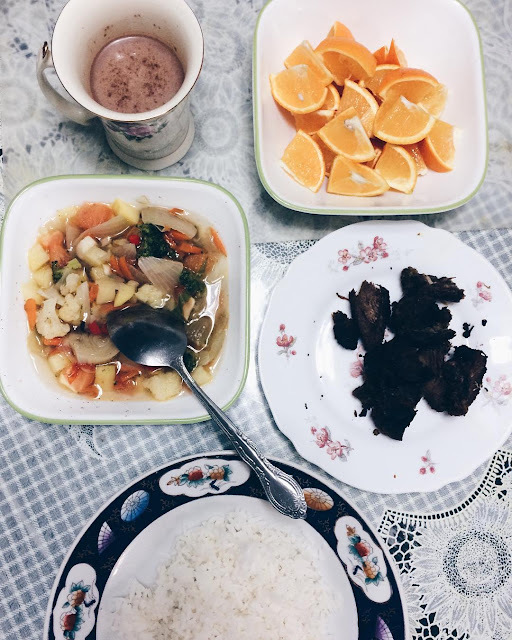 For breakfast/brunch & dinner, I usually have rice with grilled meat/chicken/fish, vegetable/chicken soup (broccoli, carrot, potato etc, depending on apa ada kat dapur. Lols! ), a mug of warm Milo/Horlicks & orange. 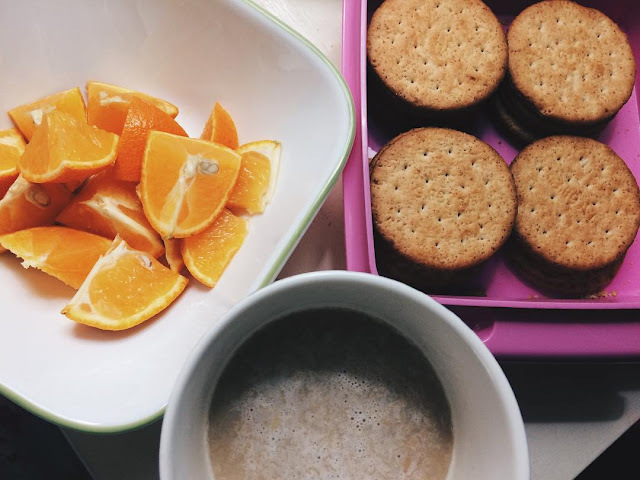 In between that, I usually have Milo/Horlicks with Jacob's Weetmeal crackers or bread or cereal with milk. Wahh sis! Kemain sis makan. Pantang ke dok ni? I don't believe in restricting myself from having certain groups of food (vegetables & fruits especially) so that I could recover faster when in fact, my body is in a dire need of nutrition post delivery. I cannot tahan makan ikan per se with no serat at all which eventually led to constipation ouchh! 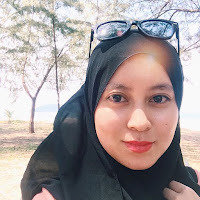 Kesian badan kita; dah la lost a lot of blood lepas tu makan makanan yang tak berkhasiat sangat. Nak breastfeed lagi. Masa pantang, you go all out cutting off some of the protein intakes & all but after habis pantang, all out pulak qadha balik makan apa yang tak boleh makan before + tak exercise. So, what's the point? Although my confinement food may cringe the strict Malay pantang abiding people, it doesn't mean that I eat whatever I want. Mind you that I still have 2 people keeping their eyes close (literally) on me; my Mother who is 50% strict & my Husband, A.H who is 10% strict (who from time to time supplies me with some forbiden food that I love).